The Full Moon on 19th April will reward for all your struggles. 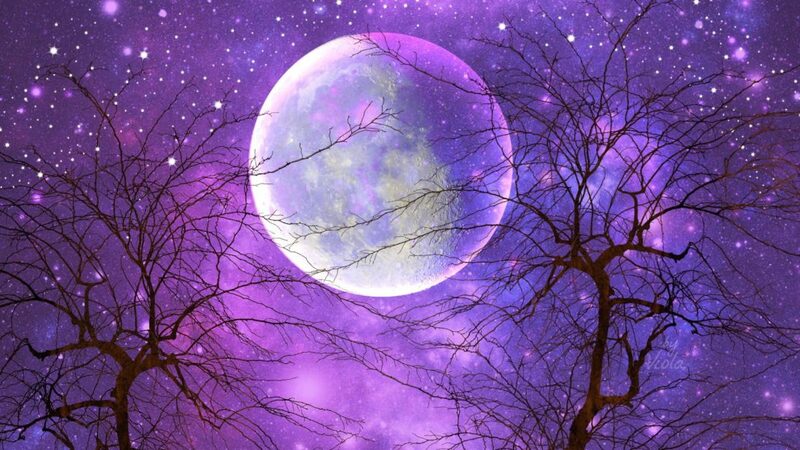 The 21st March Full Moon brought with it a surge of new energy that will be recharged by the April Moon. It marks the last mile of our suffering. The Full Moon represents the struggle that we all face before we evolve as an individual. The Planet Uranus brings its influence on this Full Moon. It is symbolic of breaking free from traditions and putting something new in our journey. Uranus comes in connection with the Aries Sun, that signifies passion and dynamism. All of us are craving for change and originality, but one needs to realize what we can offer to the world. That is where the Full Moon in Libra comes in. The Full Moon occurs in 29 degrees in Libra also known as the Anaretic degree. This degree is crucial because it helps us be one with our inner self and assists us in finding peace within. However, since the sun is in passionate Aries, these will be difficult to achieve. Aries will make us more assertive and we will end up reacting to the smallest of things, making inner peace difficult to achieve. Plus, there can be turmoil in our relationships. The Moon in Libra does bring about a little bit of balance in this violent energy. It tries to bring harmony through the emotions and sharing feelings with each other. Libra is known for its diplomatic stance and so, with a bit of tact and compromise, it will be possible to dampen the violent energy of Aries. Uranus will be opposite the Full Moon which can make us highly emotional. Plus, we might still be a bit hesitant to act, due to the Mercury retrograde in Pisces. The retrograde marks the slow progress of our life. It also answers the question as to why our thoughts are so confusing during this period. Mercury has moved back in 28th March, but it is still in the shadow phase and so, our thoughts require some time to clear up. On the other hand, Pisces energy is making us think more about others than about our own selves. This is going to end during this period. The psychological and emotional pressure that you are facing is slowly going to fade away. Two days prior to the Full Moon, Mercury will be entering Aries on April 17th. Be prepared to get the clarity in your thought processes that you wished for. Aries means action and so, your thoughts won’t be staying couched in your head. You will project it in your actions and make changes in your life. Assertiveness will return. Aries will infuse you with the passion necessary to follow your goals and speak what you desire without holding back. While all this sounds great, carelessness can be harmful. With Full Moon in Libra, our emotions will be on the high and there is the influence of the rebel Uranus. Don’t speak in a way that may invite arguments, and if you do enter one, try to be reasonable. Nothing good ever comes out of arguments. Another reason to be cautious is that Mars will be going out of bounds and contra-parallel to the expansive planet, Jupiter. The energy of Jupiter cannot be put into reins and will put your energy into new heights. With so many alignments taking place in such a short span of time, you can already get a hint of what the future holds. The Full Moon wants us to bring a change in our relationship. Confront your partner or friends if you are in a toxic relationship. Emotions are fine but at times, you have to clamp them inside and be reasonable. You will have outbursts, but you need to balance it. The Full Moon gives us a little push to make the most out of our relationships. Don’t let the opportunity slip through your fingers – be firm, be ready and most importantly, be yourself.